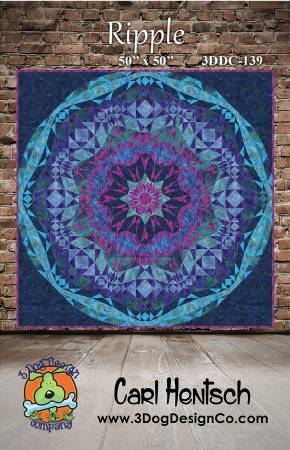 Jewel-tone batiks sparkle in this truly exquisite quilt! Foundation piecing ensures perfectly pieced diamond blocks for the 8-pointed diamond in the center. Foundation-piece the classic Storm at Sea blocks to fill in the pints and finish with a round of outer diamond blocks that create the illusion of a circular center set off with contrasting corner setting triangles. Simply stunning!